Visual Studio Code>Themes>Gringolito ThemeNew to Visual Studio Code? Get it now. This color theme is inspired on original Monokai colors with some personal changes. 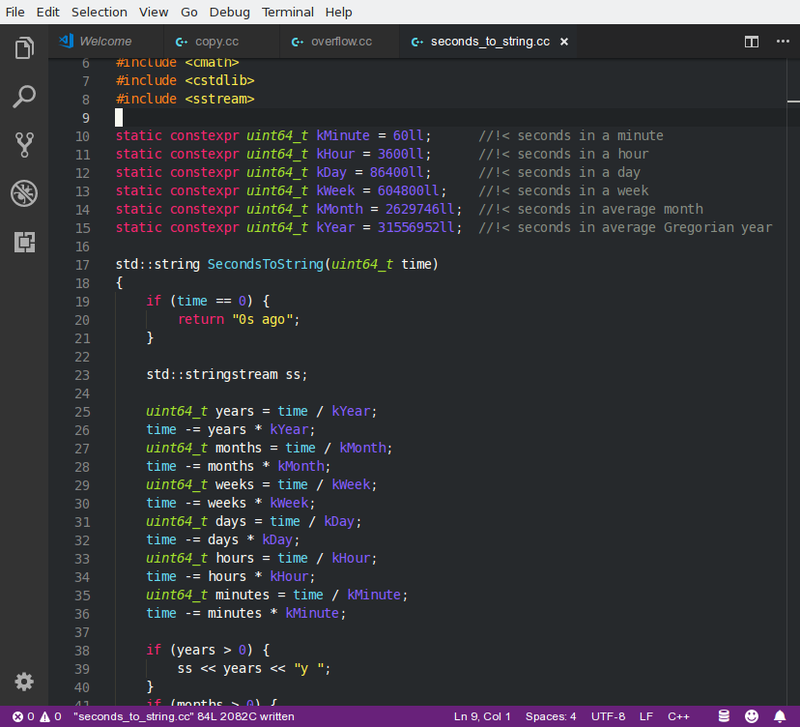 With a beautiful combination of vivid colors, this color theme is focused in C/C++/Python/Shell development. Improved version to Go development is in roadmap. <filipeutzig@gmail.com> wrote this file. As long as you retain this notice you can do whatever you want with this stuff. If we meet some day, and you think this stuff is worth it, you can buy me a beer in return. Filipe Utzig.